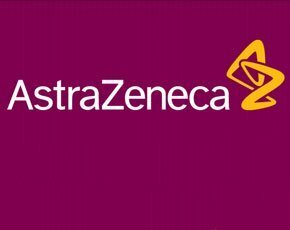 AstraZeneca has opted to switch its outsourcing model to one that encourages co-operation with suppliers after its large, outcome-based deal with IBM failed to deliver what was expected. In the 2000s, bigger was better as far as IT outsourcing was concerned. The era of the mega-deal saw the Bank of Scotland creating a £700m contract with IBM, Prudential conducted a £722m deal with Capita and global pharmaceutical giant AstraZeneca signed a £1.1bn 10-year deal with IBM. But the trend was far from an unmitigated success. The Bank of Scotland deal failed to survive its merger with Halifax. And although AstraZeneca extended the relationship with IBM in 2007 in a deal worth £736m, by 2011 it decided to exit the arrangement, resulting in a tough court case with the supplier. Part of the reason for the decline of the AstraZeneca-IBM deal was the use of outcome-based specifications. These contractual terms are generally used to drive innovation among suppliers and make sure they focus on business objectives without the client specifying a technical solution. Although very much in vogue in the 2000s, like other trends from that decade, they are beginning to look out of date. “We had been operating outsourcing under outcome-based criteria for a number of years and felt we had lost sight into how the work was delivered,” said Sam Covell, head of IS procurement at AstraZeneca. As a result, the firm faced challenges in maintaining service levels and cost of service. It also struggled to keep its IT estate current and deliver projects appropriately, she added. Despite the popularity of outcome-based specifications to manage mega deals, AstraZeneca is not alone in finding they fail to achieve their initial promise, said Robert Morgan, director of Burnt Oak Partners, a consultancy specialising in brokering outsourcing deals. “There are very few clients mature enough to understand what role they play in making sure it goes as well as planned,” he added. The cost of creating the right “interface” with the supplier and putting in place “industrial governance” could amount to 10% of the total contract value, Morgan said. These very large, long-term IT outsourcing contracts also become difficult to change because of way the supplier accrues profit from the deal, said AstraZeneca’s Covell. “When you go through these large outsource deals, there is a lot of investment in the first couple of years to try to transform the service. The supplier is trying to make its margin in the last two or three years, which is why most of the big deals tend to be five years or longer. “In the first two years everything will be geared towards the change you know about. But in years three and four there will be some big changes to the business. The services you thought were originally fit for purpose, you would now like to refine, and you are doing that at the point when the supplier does not have any additional investment to make and you are hitting its margin,” Covell said. Just over a year ago, AstraZeneca created a new model for IT outsourcing which replaces the services provided by IBM. Using a combination of contracts with Computacenter, HCL, AT&T and Wipro, the new model includes the normal elements of IT service deals, including services level agreements and pricing. But on top of the contracts, the parties have also agreed to a co-operation policy which includes 13 principles that define collaboration in practice. An example is the idea of "fix first pay later". When there is an urgent IT problem suppliers and AstraZeneca rally to fix it quickly, without asking questions about cost. Previously, a supplier might be prone to examine contracts to see what its responsibilities are and seek to protect margins, prolonging a practical solution. In return for a rapid solution, AstraZeneca’s has committed to speed up supplier payment, Covell said. Contracting parties can also appeal to independent arbiter, who oversees the co-operation policy to help with negotiations and avoid conflict. Morgan at Burnt Oak Partners said that experts and practitioners working in IT outsourcing have been considering models similar to the one AstraZeneca has created. “Some will be hoping that this is going to work, and become a model that the rest of the industry can adopt,” he said. As the decade approaches its middle years, businesses are trying to learn the lessons from the large outsourcing deals built in the 2000s. The industry will be watching closely to see if AstraZeneca succeeds in applying them.